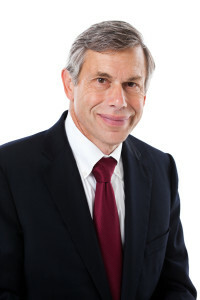 Howard Gest represents businesses and individuals in a wide range of commercial and civil disputes. Following graduation from law school, Howard worked as an Assistant United States Attorney in the Central District of California where he developed his litigation expertise representing the United States and its agencies, including the Health Care Financing Administration (now known as the Centers for Medicare & Medicaid Services), the Small Business Administration, the Department of the Interior, and the Forest Service. His current practice involves representing businesses and individuals in a wide variety of litigation matters in both state and federal court and before regulatory agencies. He was lead counsel in the federal and appellate courts and on the briefs in the United State Supreme Court on behalf of the County of Los Angeles and Los Angeles Flood Control District in Los Angeles County Flood Control District v. Natural Resources Defense Council, Inc., 133 S. Ct. 710 (2013), a unanimous ruling in favor of his client. He was the lead attorney for plaintiffs in County of Los Angeles v. Commission on State Mandates, 150 Cal.App.4th 898 (2007), which found unconstitutional a state statute that had prevented local governments from seeking reimbursement for unfunded state mandates. Other representative matters he has handled include representation of an independent physicians association in a lawsuit brought by a laboratory over billing charges, a health care clinic in an action for interference with contract, a member of a limited liability company in an action alleging breach of fiduciary duty, and several clients in commercial, breach of contract actions. Prior to forming his firm Burhenn & Gest, Howard was a litigation partner in the Los Angeles office of Sidley & Austin for 14 years. In addition to his practice, Howard has served as an adjunct professor of law at Southwestern University School of Law and as a member of the Board of Directors of the Western Center on Law & Poverty. Howard serves as Of Counsel to Yong Gruber Associates.